By AiW Guest Anneke Rautenbach. Tom Wolfe, as early as 1973, spoke of a new form of writing that “consumes devices that happen to have originated with the novel and mixes them with every other technique known to prose. And all the while, quite beyond matters of technique, it enjoys an advantage so obvious, so built-in, one almost forgets what a power it has: the simple fact that the reader knows all this really happened.” Could he have imagined, then, South Africa forty years into the future? Could he have imagined that one of its most beloved icons, a record-breaking paraplegic Olympian whom they called the “Blade Runner”, would shoot his swimwear model girlfriend to death on Valentine’s Day morning of 2013? “You can’t make this stuff up,” it is often quipped in South Africa, but this story goes beyond mere tabloid gold. It is the stuff of Greek tragedy – the sheer extremity of the factors involved are operatic in their drama: the superhuman, Helenian beauty of the victim, a highly troubled nation as the setting, Valentine’s Day and the day of Zuma’s State of the Nation Address as the context – at its centre, an international, disabled hero and the hubris which led to his downfall. When Wolfe wrote those words in 1973, he and his contemporaries had responded as newsroom underdogs to the power held then by ‘The Great American Novelist’. By merely messing about in the Sunday supplements (where creativity was free to flourish due to the miniscule likelihood that anyone would read their work), they were unwittingly developing a form that would eventually blindside the novelists to which they deemed themselves inferior – at least in the narration of New York in the 1960s. Forty years later in South Africa, we too seem to be turning towards narrative journalism, although less as plucky underdogs than from a sense of frustration at the underwhelming response in our art forms to an overwhelming mass of material in our immediate environment. A lecturer in the English department of the university I attended put down his chalk one day and told us that, barring a few exceptions, South African poetry is doomed to be bad. He explained that in South Africa, it is impossible to reconcile the “rapture”, the dumbfounding beauty of its landscape, with the “rupture” — its daily bloodshed and social traumas. Whatever is expressed will always be overpowered by its glaring omissions. In South Africa, the equivalent of Wall Street suits, the gangsters of the Brazilian favellas and the malnourished and displaced of Somalia live side by side, jostling for space and resources. The economic strata cross on different planes and do not touch, except for the occasional crash in the form of crime. Most of us in that lecture theatre struggled to see, and to understand, the conflicting currents below us. Yet in the contracted universe of South Africa we tend to be particularly vocal on matters of social and political significance, albeit because we are more often than not affected by those currents. Online, even as the privileged seek a little divergence and escapism on platforms like Facebook, stories of crime, corruption and strikes-turned-violent are regularly shared and tweeted, prompting yelps of left-wing sympathy and yawps of right-wing condemnation and anger. The Pistorius-saga prompted a particularly noisy ruckus of national self-reflection and analysis, as well as expressions of despair at the way the country is being portrayed internationally. On a superficial level this may seem healthy, but upon closer inspection, it is apparent that grassroots-level debate about the issues raised consists of throwaway hyperboles, tired old tropes and dialogue made impossible by people who keep missing each other in a country where experiences of the same place range from the sublime to the horrific. These intuitive and short-sighted utterances aim to dismiss exactly the historical and political complexity that resulted in their particular linguistic handicap. This handicap, the tendency to fall into unhelpful, antagonistic extremes, is accounted for in a recent article in the New Statesman by Cape Town-based academic, Hedley Twidle, as a backlog of historically-generated anger and an inability to know who to blame. He suggests that because blame was not assigned when it should have been (as with the privileging of amnesty over justice during the Truth and Reconciliation Commission, for example) it now circulates in South African discourse in the form of “excess current”, which, “in turn, is related to the problem of distinguishing between various kinds of critique, in separating the progressive from the reactionary”. Whether in the outbursts on online forums, on in poetry, film or fiction – we appear to be stuck in an expressive rut, relying on rapturous catchphrases (“Proudly South African” being one of them) and motifs which, even as they express rupture and despair, are moralising and comfortably familiar. Traditional art forms are no longer sufficient in untangling the “excess current” that makes South African dialogue so loaded and, at times, impossible. On the literary landscape, the fiction generating the most excitement at present leans towards the generic — crime fiction especially. Whatever its merits, even if it is done well, genre fiction, by definition, trades in stereotypes and acts in favour of the status quo, which might account for at least some of its popularity. An alternative expression of today’s realities in South Africa may lie somewhere in narratives – analytical yet inevitably personal, a combination of reportage and introspection – that have been spinning off in book form for quite some time. Jonny Steinberg’s Midlands (2002), starting with the single unsolved murder of the son of a midlands farmer, moves outwards in an investigative and social exploration of historical tensions between farmers and their tenants in rural Kwazulu Natal, as well as the impossibility of neutral narration. Antony Altbeker’s Fruit of a Poisoned Tree (2010) takes as its subject the court case of actuary Fred van der Vyver, accused of bludgeoning to death his girlfriend, Stellenbosch student Inge Lotz in 2005. As the account progresses, it unfolds into an investigation of the shaky fundaments of forensic pathology and the fallibility of memory. Radio journalist Mandy Wiener’s Killing Kebble (2012) carries the reader through an action-packed account of the events leading up to and after the murder of mining magnate and modern-day Barney Barnato, Brett Kebble. It unravels the intricate networks of South Africa’s underworld – from Johannesburg’s Elite Bouncers to Eastern Europe’s exiled druglords, with shocking expositions about the country’s ruling class. 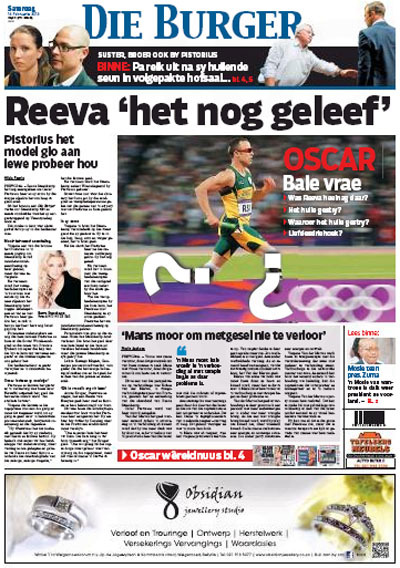 Unsurprisingly, book deals are lined up in preparation for the Pistorius-trial: Wiener is to collaborate with fellow Cape Talk Eyewitness News reporter Barry Bateman for Pan Macmillan’s Behind the Door: The Oscar and Reeva Story. Because of his finesse in the art of tweeting, Bateman’s Twitter following soared by 608% during the Pistorius bail hearing. Random House Struik’s Zebra Press will release No More Heroes by crime reporter Jacques Steenkamp and celebrity reporter Gavin Prins. Both works are set to appear following the conclusion of the trial. Though their style may adopt some of the more saleable aspects of genre fiction, the generic hybridity of narrative non-fiction in South Africa – chronicles, case studies and true-crime, part investigation, part parable — seems to satisfy an urgency to understand the society from which these crimes are born, beyond what traditional journalism or academics can offer. The benefit lies in the youth of its form, its ability to absorb the rational and the irrational, its capacity for exploration which is simultaneously public and private, historical and political. This power — ultimately the power to arrive at conclusions, thereby enabling dialogue and the shifting of paradigms — should not be underestimated. 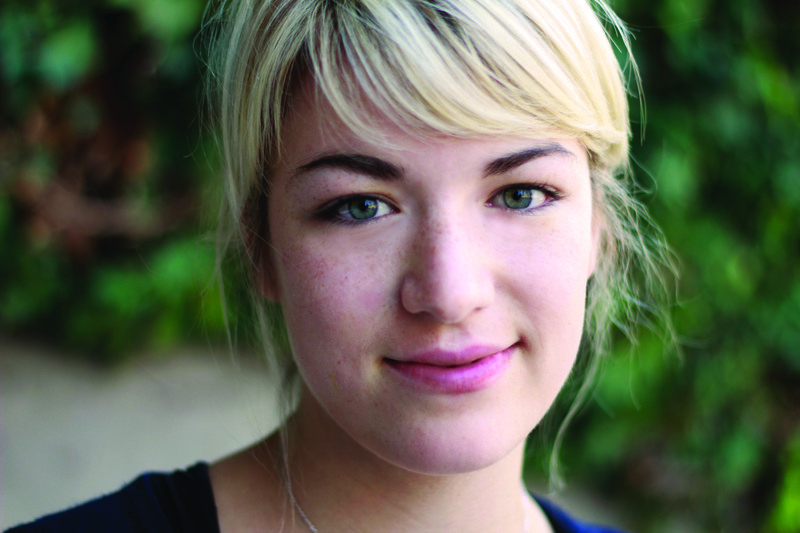 Anneke Rautenbach is a freelance journalist and writer based in Cape Town. In 2012 she completed her honours degree in English studies at the University of Cape Town and served as editor-in-chief of the university’s international affairs magazine, The Cape Town Globalist. In July 2013 she travelled to the UK to participate in the Writing South Africa Now colloquium held at the University of Cambridge. She hopes to pursue a master’s degree in 2014. This is really interesting and well observed. About crime fiction, though – what status quo do you think it tries to uphold? Crime fiction from elsewhere usually seems to present cops as (by and large) the good guys, who will eventually get the bad guys. But in South Africa, the role of the police is much more fraught – after apartheid, after Marikana, if there is any status quo to be upheld by crime fiction it is that the police are by no means “good” or “right”. We have no appealing status quo, but we do have ideas of what we want our society to look like – maybe that is what crime fiction, as opposed to true crime, tries to create. Hi Olivia, thanks for the comment. Irish crime writer John Connolly once remarked that there seem to be two strains of crime fiction happening right now. The first and more traditional kind we can see in the trend of Scandinavian crime fiction, which is founded on a prism within which one death is set against a state of political and moral order. This kind of fiction is premised on the belief that the state and the police are essentially ‘the good guys’. The other kind, which Chandler remarked is happening in American crime fiction as well as South African crime fiction is a little more complex: the protagonists act within a system which is entirely corrupt: government, big business and gangsters are all in cahoots and it’s difficult to know who to trust. Hence the emergence of the rogue journalist or policeman protagonist who lives and works by their own rules: they often privilege morality over the law. So the status quo in South African crime writing at the moment seems to be the lone good guy against a corrupt system of bad guys (Leon De Kock once commented that the South Africa presented in Roger Smith’s books is an ‘apocalyptic hell’. It is necessary to maintain this status quo for the genre to work: the bigger and badder the bad guys are, the more effective will be the relief which comes with the resolution at the end. The system is never fixed by the end of the book – we don’t see a better or more hopeful South Africa; rather we see one criminal being brought to book in an ad-hoc solution. The severity of the situation (the status quo) is exaggerated in order for this solution to be all the more thrilling: therefore the events happen in a static universe, and (I find, at least) there isn’t much room for complexity in the characters of the antagonists, nor for the complexities of accountability and complicity. This is the nature of genre. I think therefore that true crime is a better way to explore South Africa through its underworld as journalism is necessarily immediate and can reflect a place like South Africa which is in a constant state of flux and confusion. Of course, non-fiction is subject to manipulation and comes with its own set of problems. Perhaps it can’t show us the South Africa we might want to see, but it can help us understand better where we are right now so that we can figure out where we’re going. I think it’s important for people to realise that the reality presented within crime fiction is not where we are right now: it’s been flattened and exaggerated for a sensational effect.